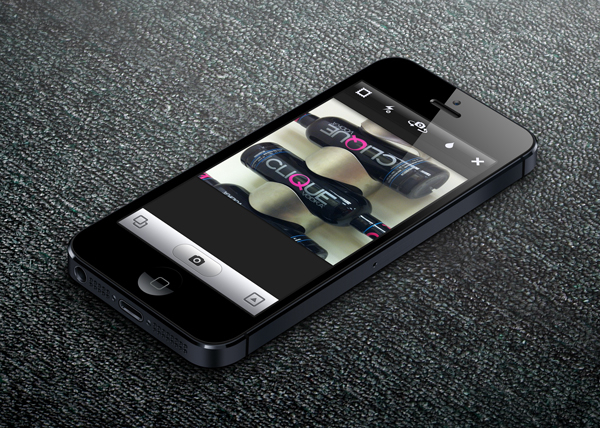 Chances are you have seen the new black Clique Vodka bottles circulating all over the internet. The new black bottles were released last week and the response has been overwhelming. Only a few select locations received the initial shipment of the new bottles, but, these new black Clique Vodka bottles are now starting to circulate throughout all stores! That is why Clique Vodka is now introducing #CliqueShots 100! 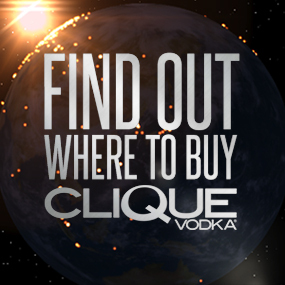 A simple way to reward you and your friends for keeping the party alive with Clique Vodka! All you need to do is share a photo via #CliqueShots featuring one of the new black bottles and you will have a chance to win a limited edition black bottle inspired t-shirt! If you are out at a store, a bar, party, picnic, or where ever and see one of the new black Clique Vodka bottles, take a pic and upload it to Instagram tagging #CliqueShots! 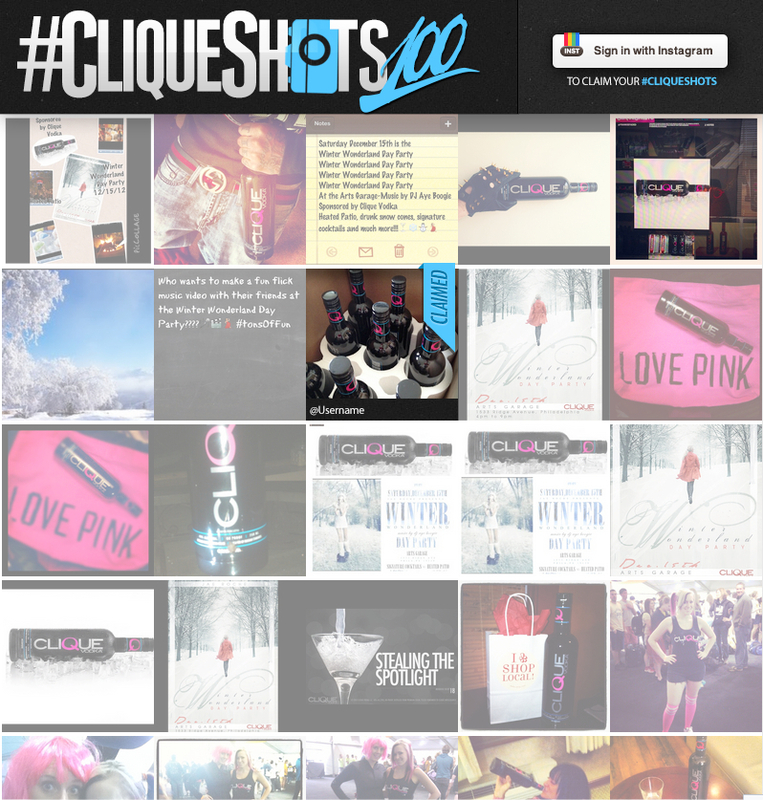 After you upload the pic, Claim the Pic HERE on the new featured #CliqueShots app on Facebook. For that pic, you will receive a brand new black bottle inspired t-shirt from Clique Vodka! 3. Visit the Facebook Page HERE and claim your picture! 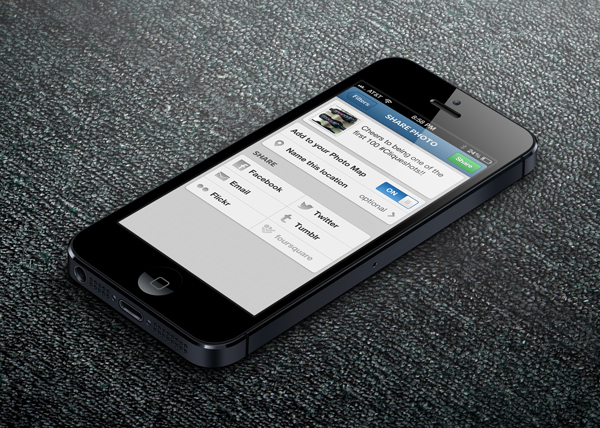 When you visit the Facebook app (pictured below) you will see a feed of all the uploaded #CliqueShots. From that point, you hit the Sign In With Instagram button on the top right corner. This will populate a feed that ONLY shows the #CliqueShots you have uploaded. 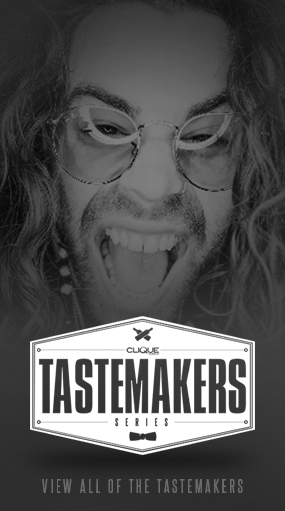 From there, you click on the picture you want to claim and then fill out the information to get your Free Limited Edition T-Shirt from Clique Vodka!